More than 50 veterans from World War II, Korea and Vietnam will be honored at South Plantation Thursday and a packed gym sure would be nice for them. The public is urged to be seated by 5:45 Thursday, April 18, for a “Virtual Honor Flight” that will salute those who served in World War II, Korea and Vietnam. For those unfamiliar, a non-profit group called Honor Flight South Florida escorts every single veteran in the area to Washington, D.C., to visit their war memorial. But some of the veterans are too feeble to make the flight, so instead they are treated to a Virtual Honor Flight. They will start arriving at 3:30 for dinner and then move to the school auditorium for a USO-type show amid cheering throngs – that’s where you come in. 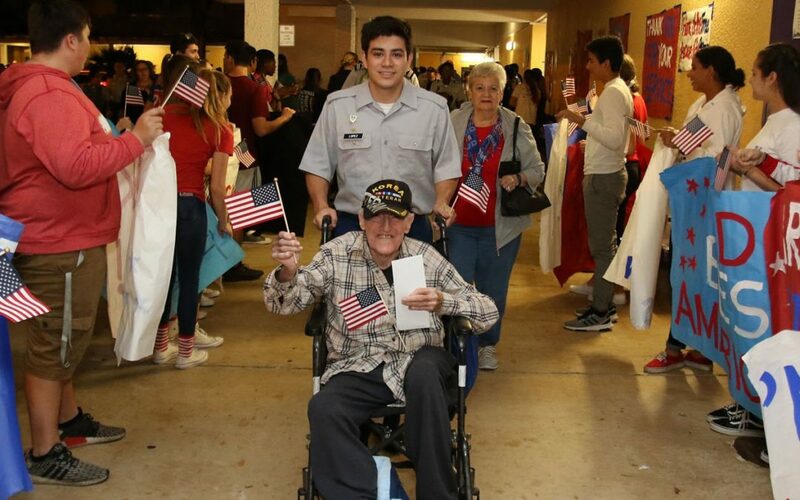 It’s the fourth virtual honor flight that South Plantation High has hosted, and is necessary because some veterans, especially those from World War II, are of advanced age. More information is available at www.honorflightsouthflorida.org. I’ve become a big fan of Honor Flight since hearing about it from Tom Christensen, a former Sun-Sentinel co-worker (and Plantation resident) who is now volunteer coordinator for Honor Flight South Florida. (The first Honor Flight organization was created in Ohio in 2005.) And I think about my dad, who served in World War II and Korea, always wanting to make it to Bedford, W.Va., for the WWII memorial. He passed away at age 89 in 2013 in Southern Illinois. We never got to Bedford, but, boy, would he have enjoyed Honor Flight. 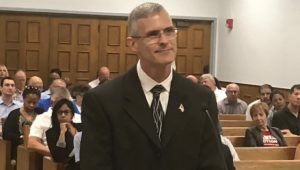 The Plantation City Council approved the hiring of a new chief administrative officer at its meeting Wednesday night. Jason Nunemaker, the city manager of Fellsmere, Fla., since 2005, is joining the city. Most municipalities operate with a city manager in charge, reporting to the city council. Plantation instead elects a strong mayor, who supervises department heads (Public Works, Parks and Recreation, etc.) and sets the city budget (pending council approval). A chief administrative officer provides the public administration element necessary to keep us compliant with laws and rules that an elected person could be unfamiliar with. Nunemaker, 49, has a master’s degree and beyond in public administration and was interim city manager at Dania Beach in 2001. He attended his confirmation Wednesday with his wife and daughter. But if you were at the meeting, you already knew that. The Gateway Development District Advisory Board met on Thursday. That’s a group of individuals interested in improving the area along State Road 7/U.S. 441. More police officers are assigned to that area, and the city is replacing outdated “No Parking” signs and adding new ones in areas that are common locations for illegal or unsafe parking. Meanwhile, business owners were updated on more than $100 million in projects to improve the area. That includes PIXL condominiums, Strata Townhomes, apartments at 311 N. State Road 7, The Palms at Plantation, Preferred Storage, Chase Bank, Wawa Gas & Store, Burger King and 7-Eleven and Mobile Gas. The annual Royal Easter Egg Hunt is at 10 a.m. sharp Saturday at Pop Travers Field, 6250 SW 16th St. Bring your own basket. There’s also inflatables, a bunny petting zoo, games and food for sale. Plantation Preserve has an Easter Buffet from 10 a.m. to 2:30 p.m. Sunday. Cost is $31.95 for adults, $12.95 for children ages 4-10. Call 954-585-5031. This newsletter originates on NickSortal.com and is shared via various platforms. The best way to get it is to subscribe to my Facebook page: www.Facebook.com/NickSortalPlantationCityCouncil. Sharing is encouraged. My email is NSortal@Plantation.org and my phone is 954-498-5337.